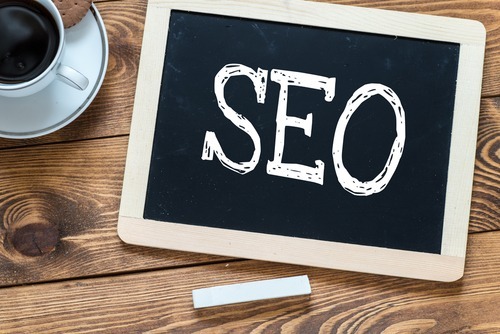 In today’s virtual world when there’s literally a deluge of so many websites and pages to go to; one of the important things that make your brand / website sail is a good SEO! Healthy SEO practices keep your website to be on the top of SERPs. Search Engine Optimisation is broadly divided into 2 categories – On-Page and Off-Page. Before we move on to the On-page SEO practices, here are some black hat SEO practices that you should always avoid. On page SEO includes everything that you do on your website for a better ranking. So make sure you tick off these things from the list for building a great on-page SEO. According to Google, the first 3-4 words of the URL carry major importance. So make sure you create such URL. Also, including the keyword is important while creating the URL. Avoid long URLs and URLs that are short, but look gibberish or ugly. The common should easily understand what the page is about bu just reading the URL. Keep it simple as that! Repeat the key phrase for around 3-8 times in the body copy. However, if you use it more than that, it is considered unethical and the page will be regarded as spam. Overdoing the key phrases / keywords never work. Page titles are very important when it comes to On-page SEO. Every page on your website needs to have a title that also includes the major keywords for that page. make sure the titles are concise and to the point. The title tags should be keyword rich and extremely enticing otherwise people won’t click on it. When you go to the SERP after you put the keywords, a small description is available under the title. That is called Meta description. These help in better search results. So make sure you provide a helpful meta description for better On-page SEO. The good meta description should clearly describe what the page is about in a precise manner. Make all the headings in H1 tag. Sub-headlines in H2. Just like the titles, include the keyword atleast once in the subheads. WordPress has H1 tags for headlines by default. But you must check the theme settings because some WordPress themes are designed differently and do not adhere to the H1 rule. Well, this is a sort of given but still, a MAJOR factor for good on-page SEO. Make sure you have the best quality content. Duplicate content downgrades the ranking of the page. The copy should be easy to understand and written keeping in mind the target audience. Google penalises the pages that use duplicate content. Typo mistakes and poor grammar are a big NO NO. Search engines downgrade the pages because of these! Who likes to read just a text? Enhance the pages by enticing infographics, videos, music. It arouses the interest and adds more life to the otherwise plain website. Multimedia develops the interest. Another important point to note- Complete the alt attributes for the all the images on the page. Descriptive alt tags make the site more easy and accessible. The image file name should have a target keyword! In one of our blog posts, we have mentioned how social media helps in better SEO. So include the links of company’s social media channels as well as links for sharing the content on social media. If the reader like the content, they share it from their side which gives a quality reach. Dynamic content on the website helps for a better SEO ranking than a static page. Check the loading time for each page on the website. How easy is it to find a specific product / service on the website? Navigation on the website should be very easy even for the new visitors. It affects the overall website experience, and in turn, the on-page SEO. Also, if you are optimising your site for a particular region, include those words in the copy as well as a page footer.